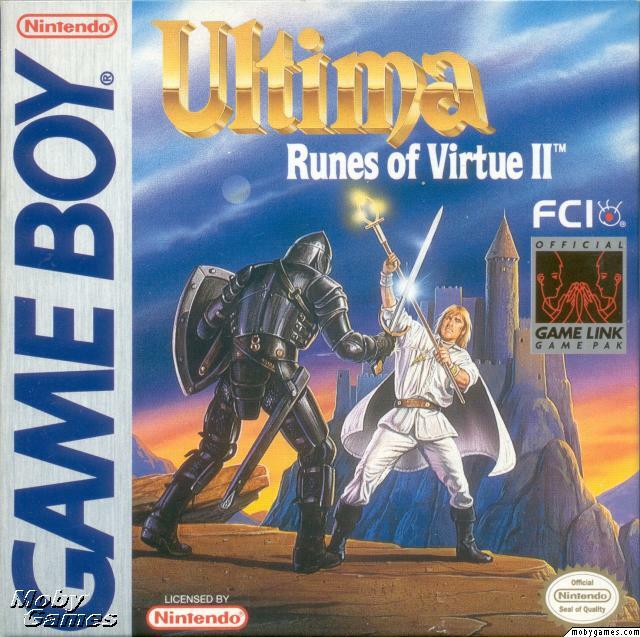 The Runes of Virtue games are an odd little off-shoot of the series. Rather than involved RPGs, these are simplistic action-adventure titles somewhat akin to the Zelda franchise. There is a much heavier emphasis on dungeon exploration and puzzle solving this time as you control one of four characters (Shamino, Dupre, Iolo or Mariah) to recover all eight of the Runes from the dungeons and defeat the evil Black Knight. The sequel is much the same, albeit with more of a campy tone, a larger scale and a slight story shift, with the player now rescuing the mayors of Britannia's eight major towns after they've been kidnapped by the Black Knight. 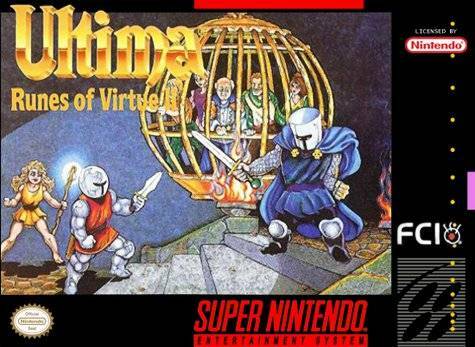 The sequel also had an SNES port, which received a visual upgrade but otherwise was essentially the same game. 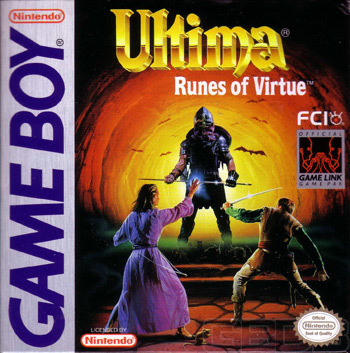 The Runes of Virtue titles honestly aren't bad games, but they're really nothing special either; they definitely don't live up to the lofty storytelling and design standards of the Ultima franchise, nor do they come close to the rivaling the gameplay quality of console titles like the Legend of Zelda. Honestly, they probably would have been completely forgotten were it not for them bearing the Ultima name. So unless you're a completionist Nintendo collector or a die-hard Ultima fan who's going to play every game under its label regardless of quality, you can safely give these two a pass.